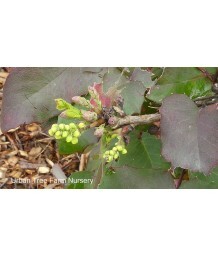 Oregon GrapeEvergreen shrub. 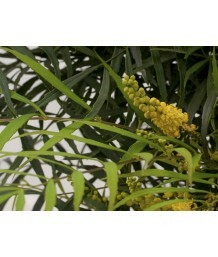 Excellent shrub for massed planting as hedge or screen or planted singl..
MahoniaEvergreen shrub. Soft, touchable bamboo-like foliage. Unique, specimen plant. 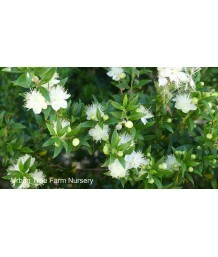 Lightly scented..
Oregon GrapeEvergreen shrub. Slow growing with mounded form. 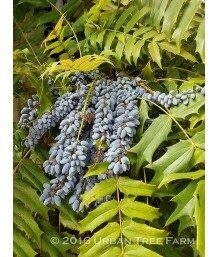 Dark-green, oval-shaped and glossy leav..
Chinese MahoniaEvergreen shrub. 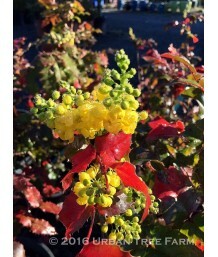 Lightly scented clusters of yellow flowers late fall through early s.. 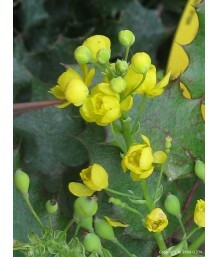 Creeping MahoniaEvergreen low hedge or groundcover. Low spreading habit. Bright yellow flowers are f..
MangaveEvergreen perennial succulent in mild climates. Cross between manfreda and agave. Low wide ha..
MangaveEvergreen perennial succulent in mild climates. Cross between manfreda and agave. Spikey wide..
Honey BushEvergreen shrub. Fast growth spreading rapidly by sucker roots. Long bluish-green leaves h..
Banana ShrubEvergreen shrub. Slow growing. Dense broadly oval form. 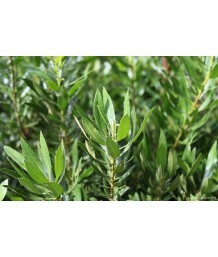 Medium sized leathery shiny medi..
MicheliaEvergreen shrub. Low growing, spreading habit. Also known as Magnolia laevifolia. 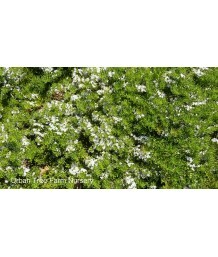 Slightly r..
Fringed Heath MyrtleEvergreen shrub. Flat, spreading shrub with narrow gray leaves set on spreading ..
Prostrate MyoporumEvergreen groundcover. Low spreading habit. Small green leaves throughout the year..
Prostrate MyoporumEvergreen groundcover. Slow spreading. Small leaves are red tinged and profuse. Cr..
African BoxwoodEvergreen shrub. Native to Africa, the Himalayas, and China. Slightly floppy form whe..
MyrtleEvergreen shrub. Rounded form. Native to the Mediterranean. Dense but fine textured foliage. G..
Variegated Dwarf MyrtleEvergreen shrub. White sweet scented flowers in summer. Blush black berries f.. Dwarf MyrtleEvergreen shrub. Slow growing with dense, rounded form. Very small, medium-green, oval, ..
Variegated MyrtleEvergreen shrub. Rounded form. Native to the Mediterranean. Dense but fine textured..